Have a bright idea? 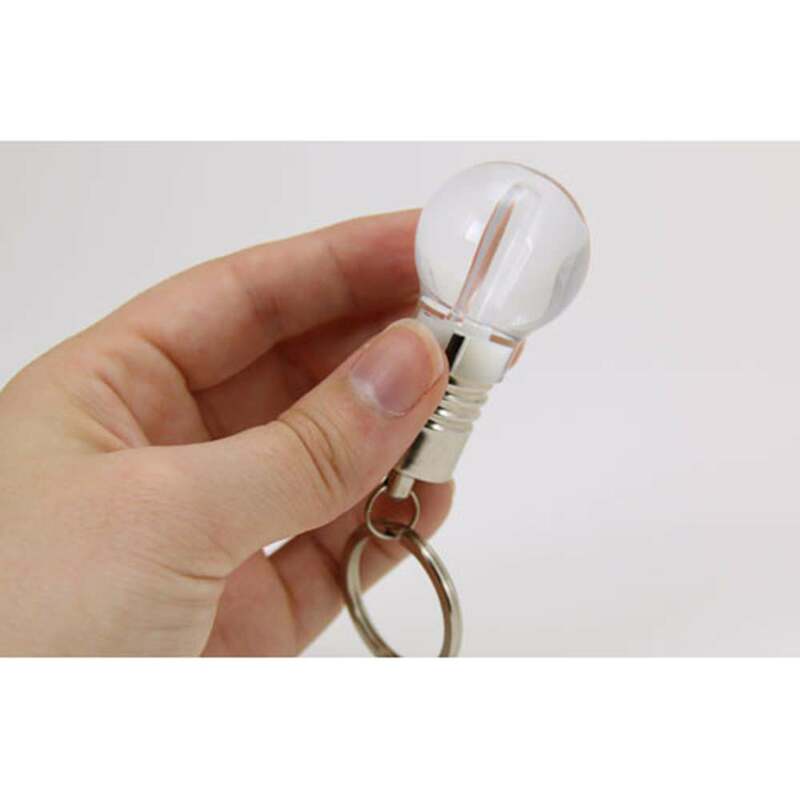 Show it off on our new light bulb shaped USB drives. 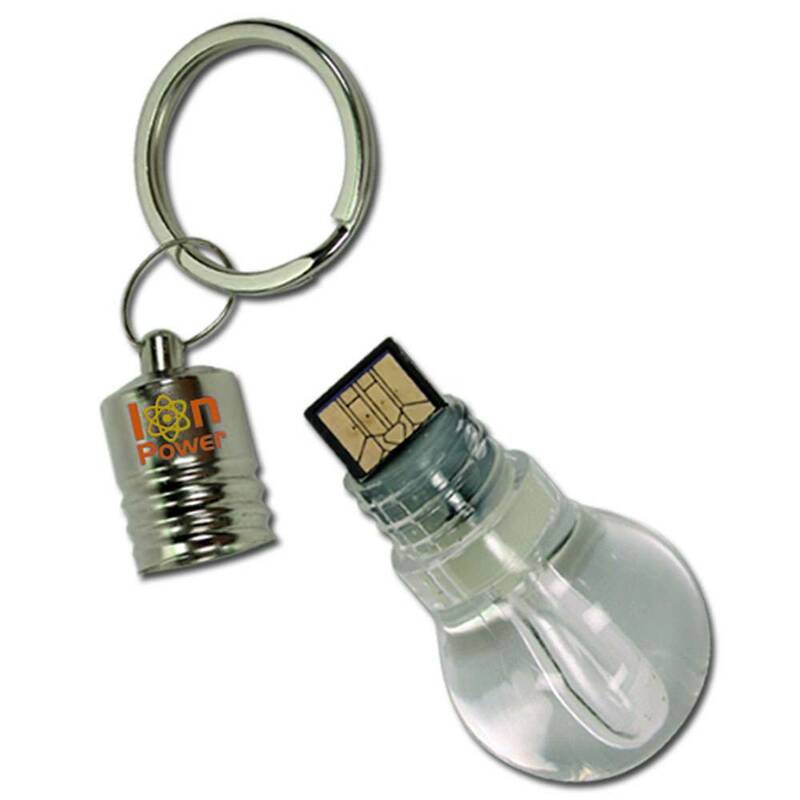 These lightweight, convenient keychains are available with 512 MB of storage to 32 GB of storage, depending on your company’s needs. 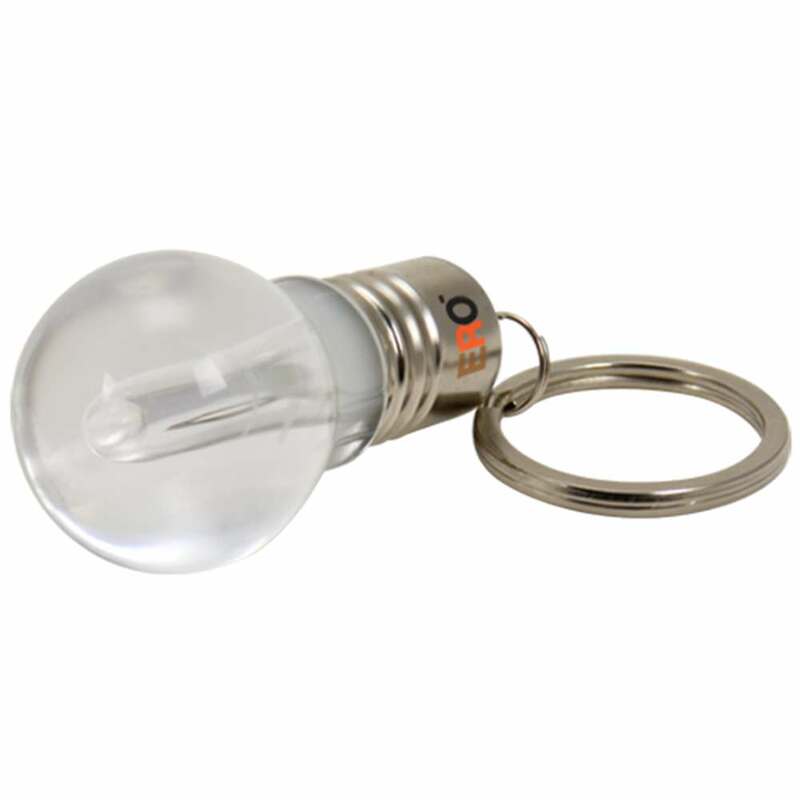 These flash drives are perfect for companies in a variety of industries - home improvement and lighting are obvious ones; but the light bulb would also be perfect for any type of energy production, education, science or research based companies, appliance manufacturers, and many more. 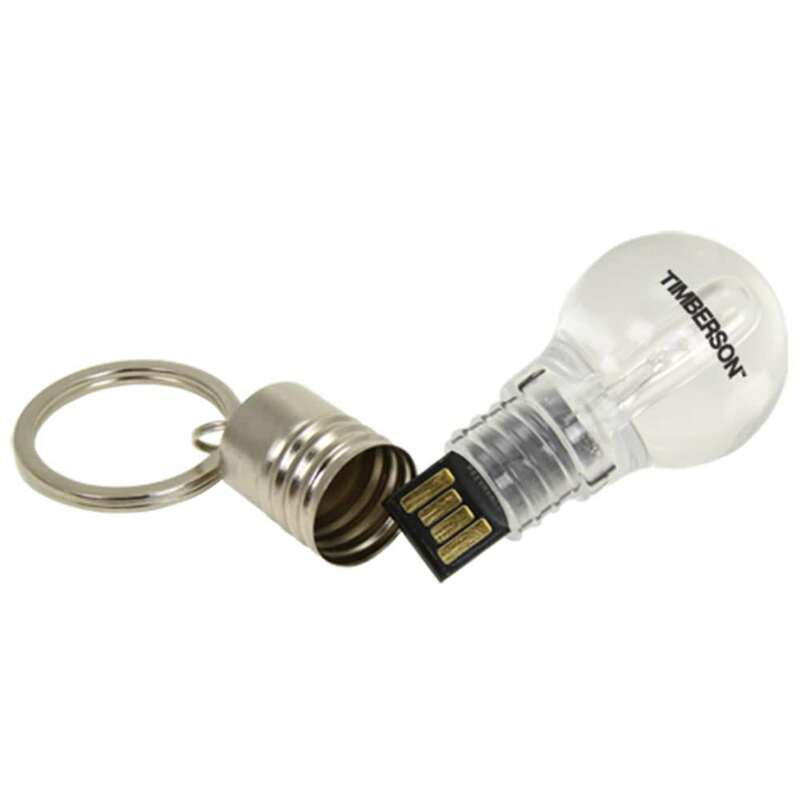 The Edison Light Bulb Shaped flash drive comes with a twist-off cap to protect the USB drive from damage. This is the location of your logo. The cap is metallic with a sheen so the colors of your logo will stand out, but not be overwhelming to the observer. 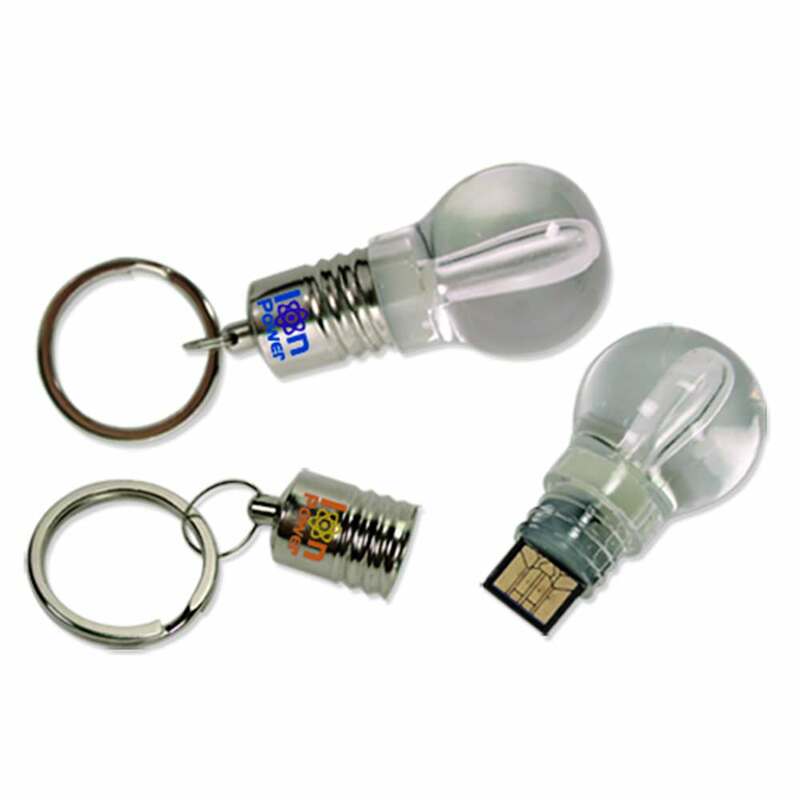 The unique shape and presentation of our light bulb flash drives not only draws the eye, but it can be a great conversation starter. Our economical, bulk flash drives are perfect marketing tools as they are at once flashy and functional - a great way to “shine a light” on your business!